The certificates above and below show the registration of birth in December of Alfred William Eugene Harris. He was born at 57 Benwell Road the joint home of the Harris and Musgrove families at this time. 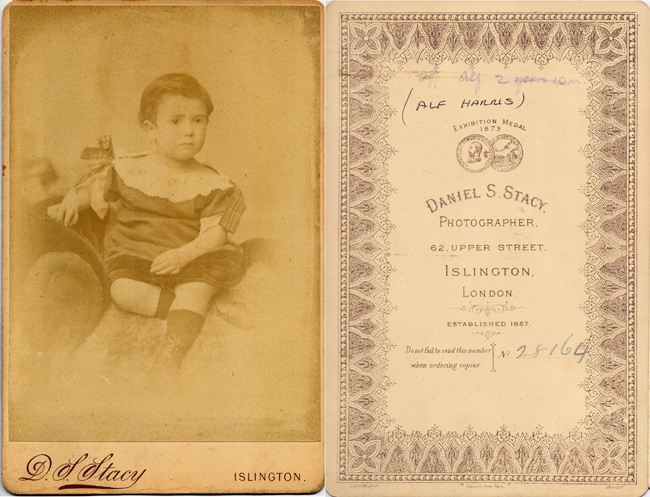 Alfred is photographed aged 2 years10 months in 1884.